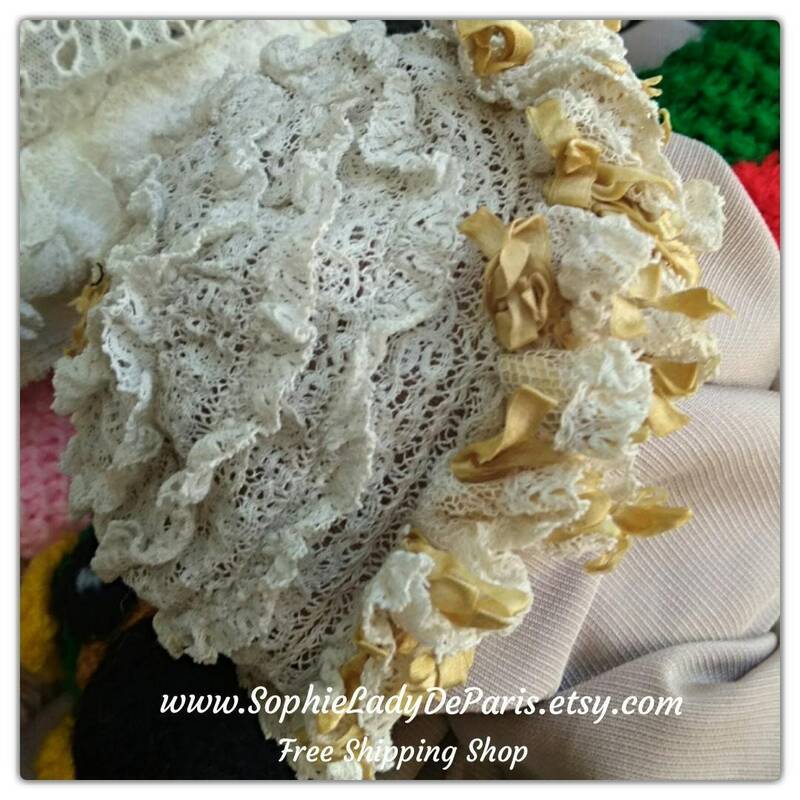 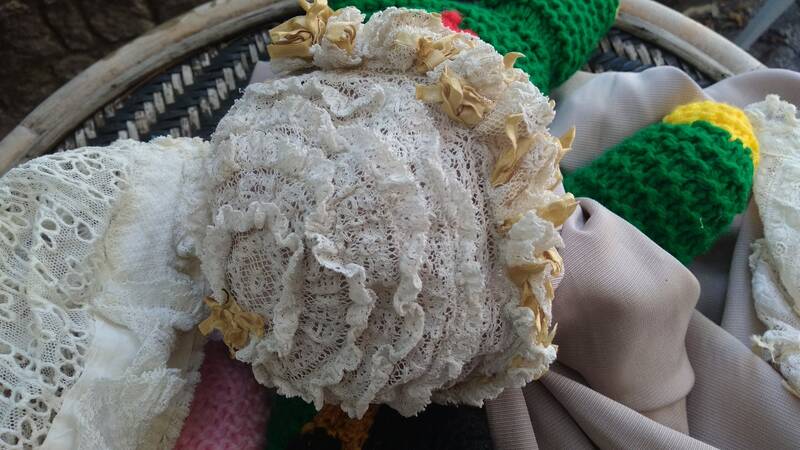 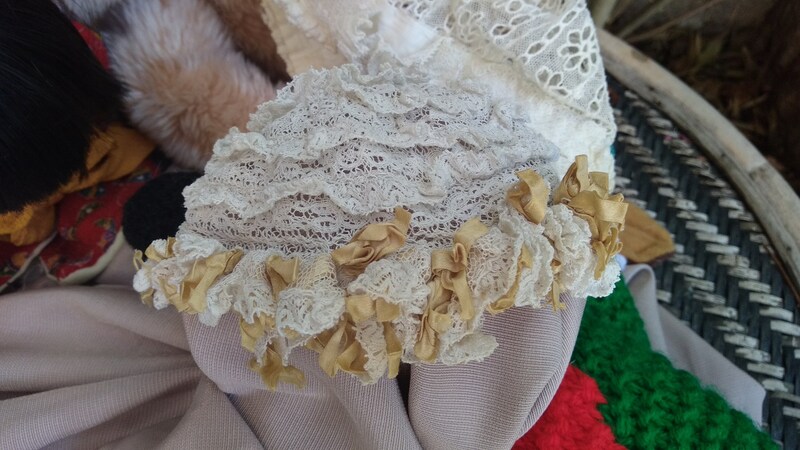 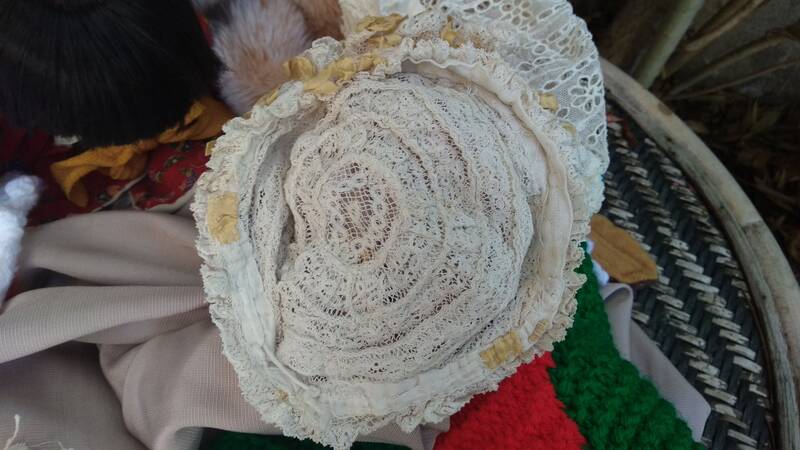 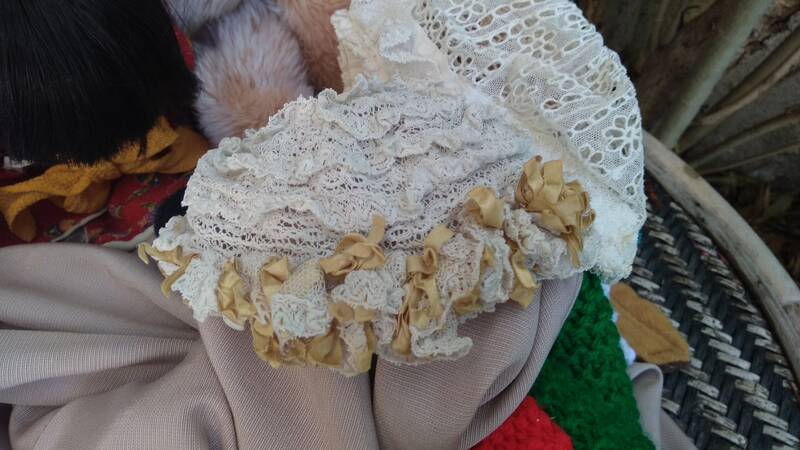 GORGEOUS and Original Victorian Baby Bonnet - Antique French white cotton lace ruffled and yellow bow silk ribbons made. 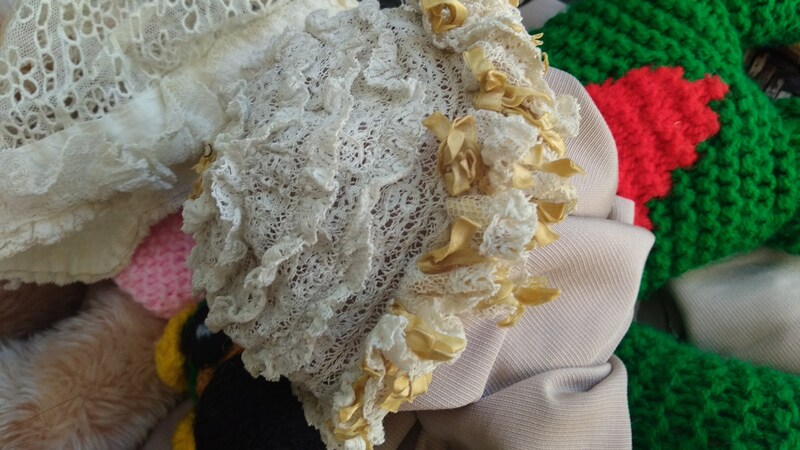 Small size for a new born or a doll. 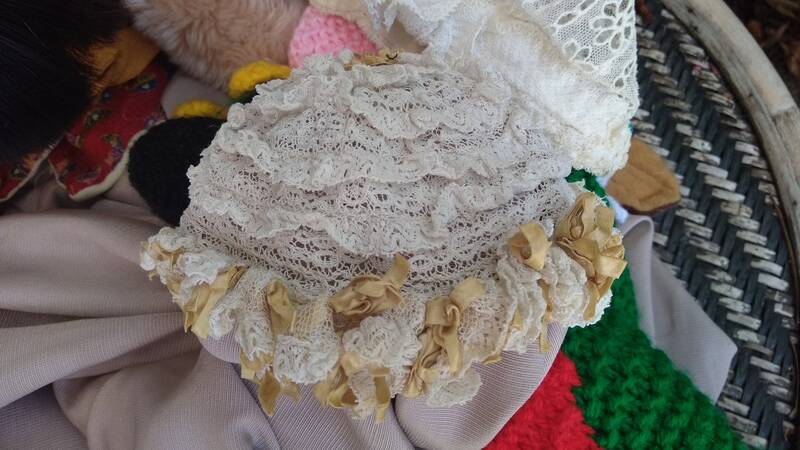 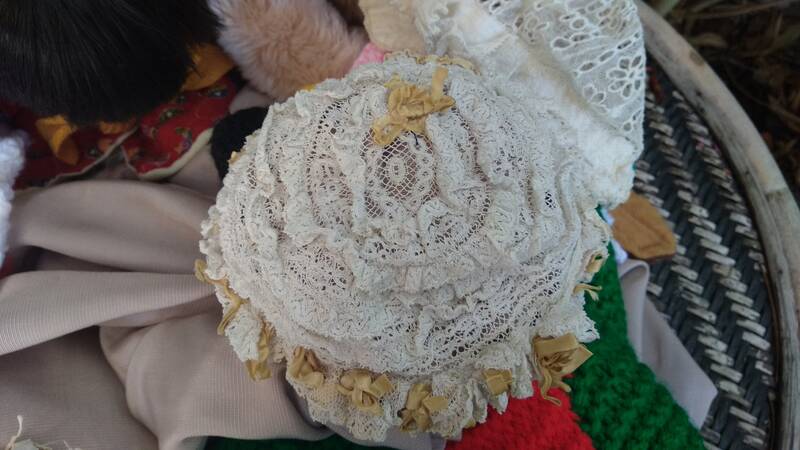 Delicate Antique French baby bonnet to keep as collectible or for a doll's hat !